If you are a little concerned about the data being stored on your iPhone regards your wear abouts, a new application has been published to the Cydia app store for jailbroken iPhones, that now allows you to remove the data contained in the consolidated.db file. To start the cleaning process simply download and load on to your iPhone. The application installs a small process which runs in the background to clean consolidated.db file. No new icons are added to your homescreen and there are no options to configure. The new application has been developed by Ryan Petrich and has been designed for people that are a little concerned about the location data stored on their iPhones. 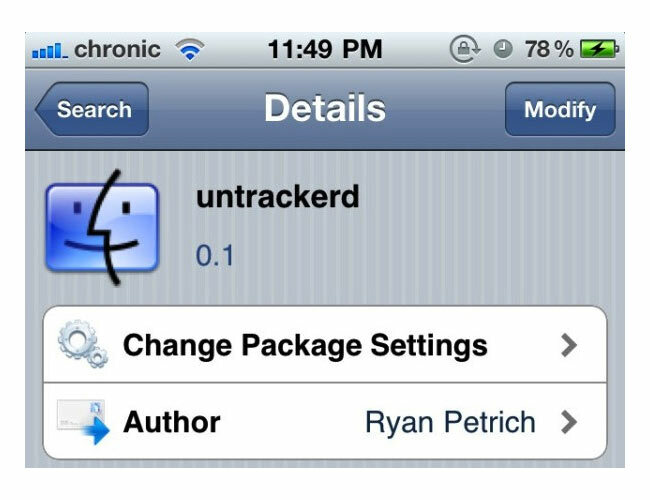 Untrackerd is available for free on the Cydia jailbreak store.